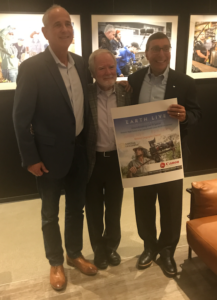 I recently had the honor of visiting Canon’s newest (12,000 square ft.) facility, “Canon Burbank” – The Professional Technology & Support Center located at 3400 West Olive Ave., Burbank, California and conveniently located near The Burbank Studios and Warner Brothers. 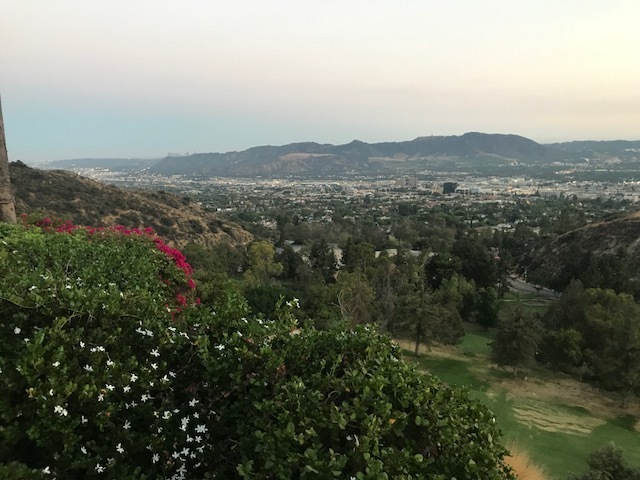 Canon Burbank has all latest tech and what’s exciting is that this facility is open to the Hollywood community! What does this mean? 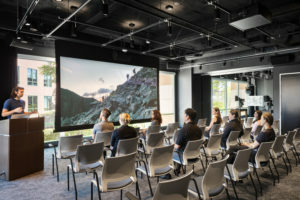 Educational events, product demos, screenings and product showcases will all play a huge role at Canon Burbank. Additionally, if a room is available and not already scheduled, industry folks can access it at no charge! Yes, you read that right! 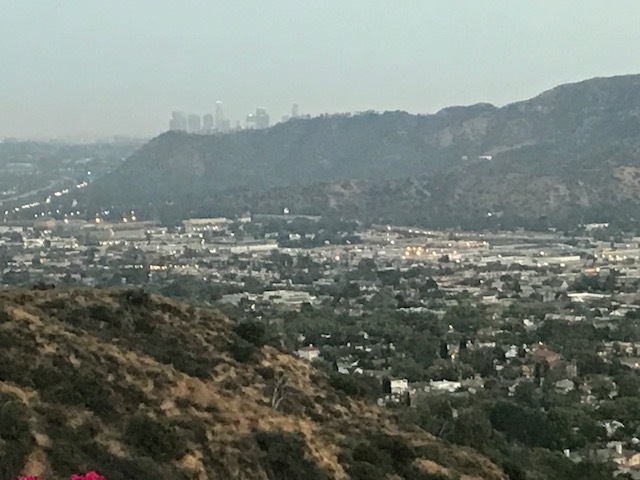 It’s a free service that Canon Burbank is offering as a way to assist photographers and cinematographers while troubleshooting or planning upcoming projects. Additionally, Canon has staff ready to assist you in finding the perfect solution. Imagine – the ability to brainstorm with a Canon Pro right in their facility! Canon Burbank features state-of-the-art gear from companies like TBC Consoles, Quantum Corporation and SGO. I don’t believe that Canon forgot ANYTHING at this facility! 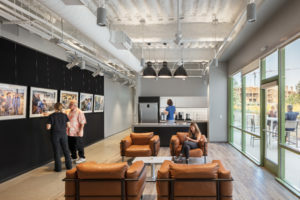 Alex Sax, Pro Market Specialist, Canon U.S.A., Inc., states that everyone is welcome at the new facility – be it a DSLR shooter or a first time YouTube videographer, Canon Burbank is a resource center for everyone. 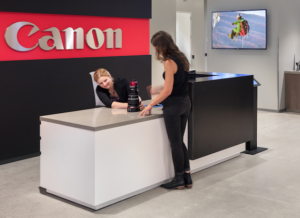 In the Reception area, aside from the “Bookcase Set” which has Canon’s C200 and C700 cameras out in the open, showcases of cameras, lenses, accessories and printers (upon which one can print out test photos) present Canon’s other latest offerings. One of Canon’s Emmy Awards is even on display! Exquisite photographs hang all over, giving the feel of an art gallery, rather than a technical service center. 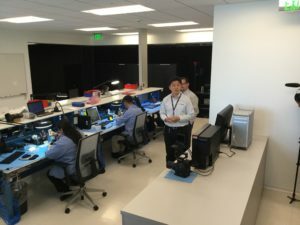 At Service and Support, Richard Hahm, Supervisor, Technical Support, Canon U.S.A., Inc., they can repair everything from the cinema EOS to a multitude of lenses. 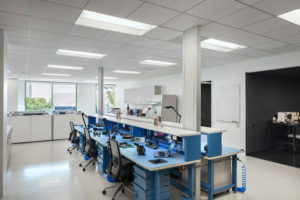 In the Workflow Lab, Loren Simons, Senior Field Applications Engineer, Canon U.S.A., Inc. explains that this particular room was built for integration. Filmmakers can be shown how their existing workflow can be navigated into canon hardware. In this way, filmmakers can see how their creative will look in a variety of different products. For example, using Canon’s most advanced 4K reference monitors displaying both high-dynamic range technology and high-definition television (the kind available to everyday consumers) can show editors how their final work will appear. 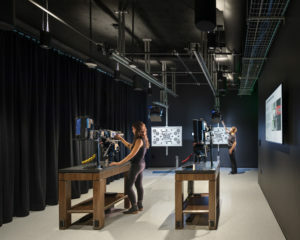 Tim Smith, Senior Technical Advisor, Canon U.S.A., Inc. shows off another lab area – The Imaging Lab – which tests cameras, lenses, monitors – their entire ecosystem; this will ensure that once you’re on set with the Canon camera, your experience is a good one. Ken Rowe, Technical Advisor, Canon U.S.A., Inc. displays some of the background services that allow Canon Burbank to function. This includes SAN servers and even a Barco projector! 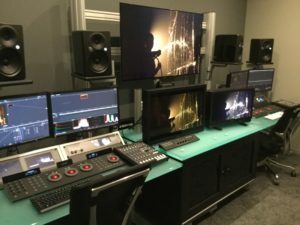 This allows people to use the same equipment that exists in major post houses to screen their films and see how they’re going to look. Joseph Bogacz, Professional Engineering Advisor, Canon U.S.A., Inc., can be seen in the screening room, equipped with a Barco 4K DP4K-P projector, SAN servers, AJA KUMO 6464 3G-SDI video and audio router, and SGO Mistika grading systems to give visitors the theater experience when viewing their completed work. I don’t want to forget the Expresso Counter – since you’re already feeling as if you’re in an art gallery, what would be a perfect pairing but a cup of Nespresso? 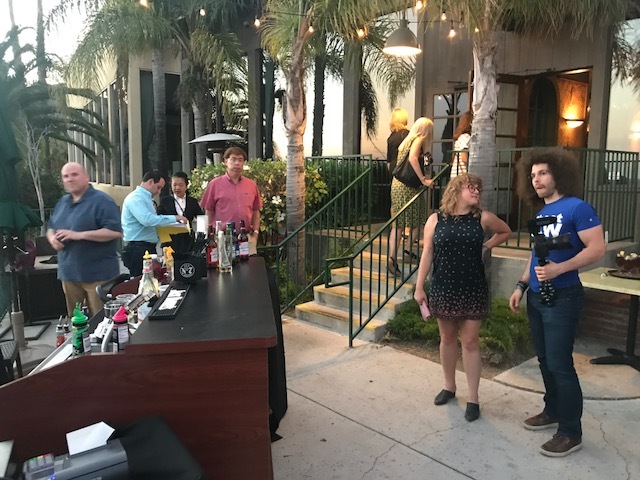 Sitting within the finely deco’d area transports you to a fine coffee house – almost forgetting that you’re really in Canon Burbank’s Super Service Center! One of the most exciting aspects is the client serviceability. Continuing the tradition started at Canon’s original Hollywood facility, enhanced technical environments and accessible service and support is the first order of business. 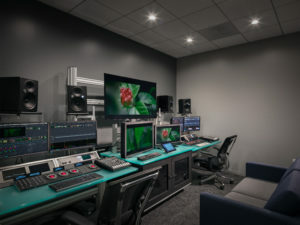 Beginning with a large and convenient underground parking area where customers can enjoy a Monday-Friday walk-in service, Canon Burbank spoils its professional clients in the filmmaking and still imaging communities with its most advanced cinema industry resource facility to date. They are even encouraging people to bring other cameras and compare them to Canon cameras in their facility. It’s a great place to run A/B testing, says Tim Smith, Senior Technical Advisor, Canon U.S.A., Inc., during a tour of the center. 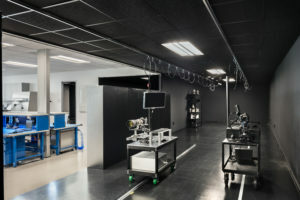 A dedicated location for Studios, Post-Production Facilities, Suppliers and Professional Organizations alike, a dynamic mix of product evaluation and testing, product & workflow training, industry events and expedited repairs await all those who enter through its doors. 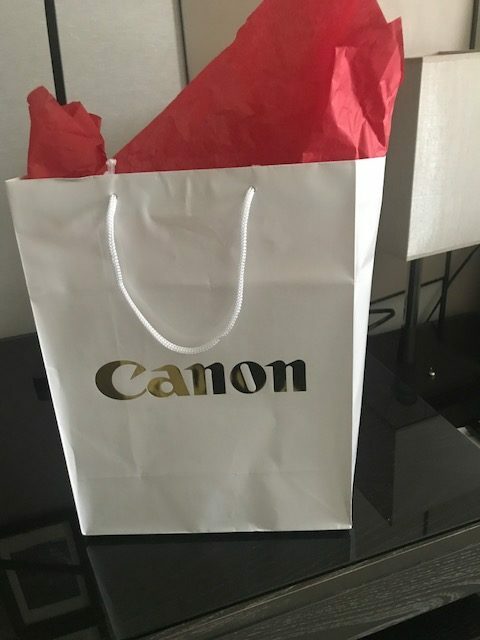 In fact, Canon products from input to output, and an improved access to the highly-trained Canon service and support team improves the Canon customer experience and satisfaction levels. “Every director, director of photography and camera operator is going to have a different vision of their project. We don’t sell anything here, but we can offer the experience and support,” Peck explained. Canon Professional Services’ (CPS) provides a powerful support network for the region’s professional photographers, filmmakers, and videographers. 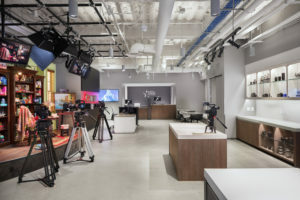 A steady calendar of educational seminars from top professionals on the latest equipment and filmmaking techniques, such as Canon Live Learning sessions, and a lab for testing Canon cameras and lenses enhances the facility’s offerings. Even the multipurpose room can be arranged for industry gatherings and special events! The night before the showing, Canon treated us at the beyond-beautiful Castaway Restaurant!! !